What’s should be the higher purpose of religion? It should answer the deeper questions of life. What’s the meaning and purpose of life? Whoever made me, what do they expect of me? Where am I going? What’s my ultimate destiny? Is there life after death? Let’s narrow the picture down. So why are we here celebrating Shavuot today? To fulfill the requirements of religious ritualism? To get your religious fix? Out of human pride—to do your religious thing so that you feel better than the poor religious slobs still celebrate Christmas and Easter who don’t keep YHVH’s biblical feasts? To hear some exciting exotic, arcane, ear tickling message that leaves your head bursting with something new and exciting? Not! That does nothing to bring you to repentance, change your life and bring you closer to Yeshua. Out of obedience to and worship of Yeshua you Lord and Master? Or because you love Yeshua with all your heart and want to obey him by keeping his commandments not because you’re expecting anything out of it personally but because he is worthy of worship and obedience? Period?! Or to be spiritually transformed, so that you can be about your Father’s business to help transform society around you for the kingdom of Elohim? Some of these reasons are good, and some of them are not so good. For those keeping Shavuot out of obedience, which is a good thing, remember that obeying Elohim’s Torah laws is not an end in itself, but a means to an end. For Christ is the end [end result, goal or aim] of the Torah-law for righteousness to every one that believeth. Torah obedience is merely a vehicle to bring you something higher. Too many people make obedience including keeping the feasts the goal and not the process to achieve the goal. 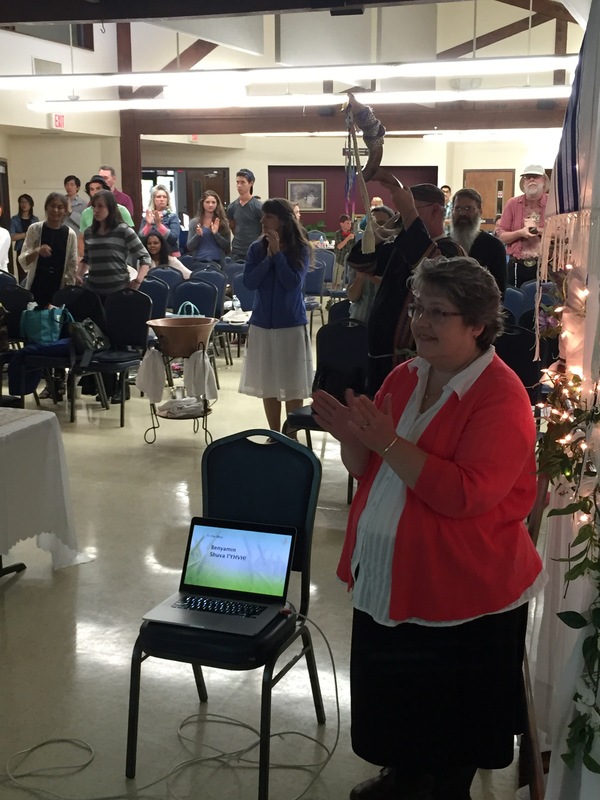 When Is the Feast of Weeks, Shavuot or Pentecost? When is the Feast of Weeks (Heb. 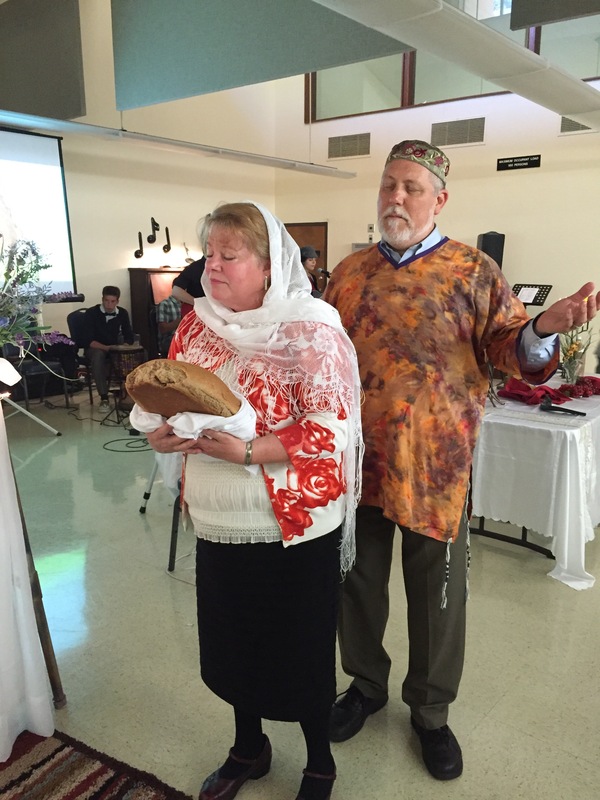 Chag Shavuot) or Pentecost? This has been a subject of debate among the Jews going back for two thousand years to the first century, and still is today among well meaning people who love Elohim and desire to follow his word. This is the question I will address in this study. Since Shavuot is the only biblical holiday that involves counting days and weeks (hence its name, the Feast of Weeks), there are different opinions about when to start the count leading up to Shavuot. The Torah tells us to count from the Sabbath associated with the Feast of Unleavened Bread. This sounds simple enough. Or is it? The question and the subject of the debate is which Sabbath do you start counting from? The day after the weekly Sabbath occurring during the Feast of Unleavened Bread or the day after the high holy day Sabbath of the first day of the Feast of Unleavened Bread, which occurs on the fifteenth day of the first month of the biblical year? In the first century in the time of Yeshua and the apostles, there were two main opinions among the leading Jews on when to start counting the weeks (called “the counting of the omer”) leading up to Shavuot. The religious sect of the Pharisees whose spiritual descendants are the modern rabbinic Jews started the counting of the omer from the day after first high holy day of the Feast of Unleavened Bread, which is a high holy day Sabbath (John 19:31). On the other hand, the Sadducees, the other main Jewish sects of the first century (along with the Boethusians, which was likely a sub-sect of the Sadducees; see A History of the Jewish People in the Time of Jesus Christ, second division, vol 2, p. 37, by Emil Schurer; Commentary on the NT from the Talmud and Hebraica, vol. 4, p. 23 [commentary on Acts 2:1], by John Lightfoot) counted the omer from the day after the weekly Sabbath that falls within the week of the Feast of Unleavened Bread. Some modern Messianics follow the rabbinic method, while others follow the Sadducean method. Next Sunday (May 27, 2018) is Shavuot or the biblical Feast of Weeks (also known as Pentecost). This is according to the visible new moon, aviv barley calendar, which I prove and explain in my three calendar articles on the subject (https://www.hoshanarabbah.org/teaching.html#feast) was the calendar in use at the time of Yeshua and the apostles. 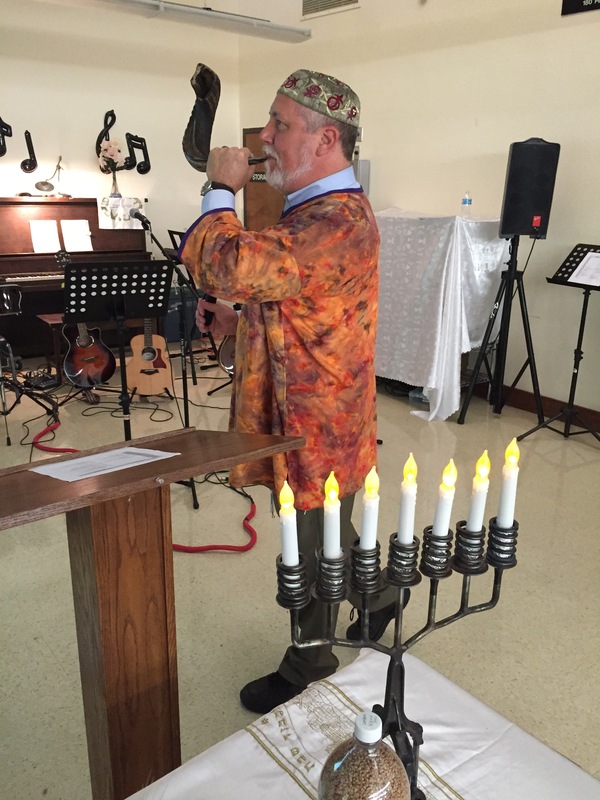 Those who follow the rabbinic calendar (invented in the middle of the fourth century A.D. and approved by the Roman emperor, Constantine) celebrated Pentecost a week earlier. Those who follow the any of the other non-biblical calendars (e.g. the astronomical new moon conjunction calendar, the vernal equinox calendar, the Enoch calendar, etc., etc.) would have celebrated or will be celebrating Shavuot on some other day. The following are links to resources that I produced (with the help of my wife) to help you to understand the importance of this day and why we need to celebrate it with full understanding of its significance in YHVH’s plan of redemption for sinful humans. The Torah commands us to count the omer (Lev 23:15–16). The graphic below will help you to do that. Keep track of the days and change the statement below accordingly to fit the omer count for the particular day. May YHVH bless you as you participate in the countdown to Shavuot, the Feast of Weeks or Pentecost. 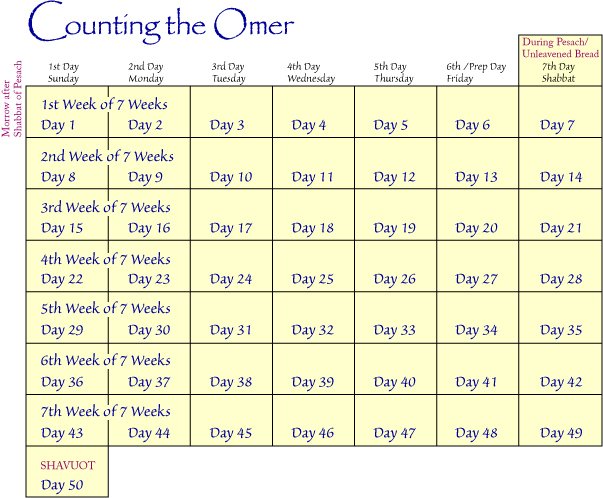 Counting the Omer—What Is Its Spiritual Prophetic Significance? This prolix statement simply confirms the talmudic record that the Sadducees rejected the Oral Law, which the Pharisees held equally authoritative with the Written Law. (The Pharisees, p. 261). Yeshua himself castigated the scribes and Pharisees of his day for giving precedence to their Oral Law or the tradition of the elders over Elohim’s Written Torah in Mark 7:9, 13. So we are still left with the following question: Which method of counting the omer toward Shavuot is correct? Do we follow the Written Torah or the Oral Tradition of the rabbinic Jews, which purports to follow the Written Torah but often doesn’t? That is the question I want to answer below. To start, we need to first understand the meaning of some Hebrew words. Let’s look again at Leviticus 23:15–16. The word for weeks in this passage is the Hebrew word shabbatot. Does this word mean “weeks” as in “from the first day of the week (our Sunday) to the seventh day (our Saturday),” or does it mean “weeks of seven days” irrespective of which day in the week the count starts? I will attempt to answer this question later. Also it must be noted that the Torah here uses the phrase “seven complete Sabbaths” (Heb. shabbatot). This is important to note as we will see below. The Hebrew word for Sabbath is shabbat. The plural form of this word is shabbatot, from which is our word Sabbaths derives, and is found later in the same verse (Lev 23:15). This verse says to count sabbaths, not weeks. Elsewhere the Bible clearly states that the sabbath is the seventh day of the week. What do the Jewish rabbinical experts say about the meaning of Leviticus 23:15–16 and how to count the days toward Shavuot? After all, many Messianics view the Jews as the legal biblical experts that we are to follow in this regard. To start with, the authoritative The ArtScroll Tanach Series Vayikra/Leviticus commentary is silent on the meaning of the word Hebrew word shabbatot in Exodos 23:15. 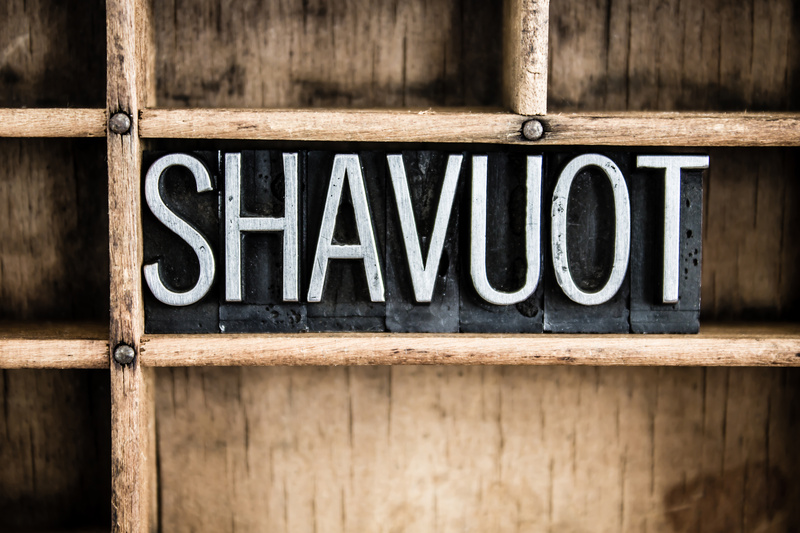 The commentators offer no explanations as to why they chose to ignore the meaning of the word Shabbatot when counting the days toward Shavuot. They simply assume that the word shabbatot means “weeks” (shavuot) and not “sabbaths” without giving any explanation. The nineteenth century orthodox rabbinic Torah scholar S. R. Hirsch in his commentary on this verse attempts to explain that the word shabbatot/sabbaths in Leviticus 23:15 when combined with the Hebrew word t’mimot (translated in English as complete or perfect) means “weeks of Sabbaths” or “weeks containing Sabbaths.” To justify this explanation, he cites, not Scripture, but a prior rabbinic Jewish tradition (i.e. The Babylon Talmud, Nedarim 60a). Thus, in his translation of the Torah, Hirsch says that the word shabbatot or sabbaths means “weeks of sabbaths.” Then in Leviticus 23:16, which reads, “the seventh Sabbath,” he translates the word shabbat as “sabbath-week,” even though this is never what the word shabbat means when used throughout the Hebrew Scriptures. The Gutnick Edition Chumash takes a libertine approach and interestingly translates the Hebrew word shabbat in Leviticus 23:15–16 as “From the day following the (first) rest day (of Pesach)—the day you bring the Omer as a wave-offering—you should count yourselves seven weeks. (When you count them) they should be perfect. You should count until (but not including) fifty days, (i.e.) the day following the seventh week…” (emphasis added, parenthetical sentences are in the original). Here, bowing to rabbinic tradition and ignoring the meaning of the word shabbat, this translator translates shabbat/shabbatot respectively as “rest day,” “weeks,” and “week.” Other than that, this rabbinic commentator gives no explanation how he justifies translating the word shabbat as he does. He focuses on the command to count, but totally ignores discussing which day to begin counting from. Similarly, The ArtScroll Stone Edition Chumash in its translation of Leviticus 23:15–16 also ignores the meaning of the word shabbat and changes the word shabbat to “rest day,” “weeks,” and “week” respectively. In its commentary section, this Chumash totally omits any discussion on the subject of counting from the sabbath, or which sabbath to count from. Similarly, Rashi, the pre-eminent medieval Torah scholar, in his commentary on this verse also presumes shabbat to mean “weeks” and cites earlier Jewish sources (i.e. Targum Onkelos) as his justification, but gives no Scripture to back up his claims. The counting of the omer from the day after the high holy day Sabbath (and not the weekly Sabbath) was normative among the dominant Jews of the first century as attested to by Josephus who makes no mention of any alternative methods than that of the Pharisees for determining the beginning of the count of the omer (Ant. III.10.5). These are the explanations, or lack thereof, that some of the top rabbinic experts over the past 2000 years have to tell us on this subject. This is not much to go on in order to make an informed decision about when to celebrate one of YHVH’s biblical feasts! Contrary to what the above-quoted Jewish sages teach, The Theological Word Book of the Old Testament and Brown Drivers Briggs Lexicon, inform us that the word weeks [shavuot] is not one of the definitions of the word sabbaths [shabbatot], although BDB suggests that sabbaths or shabbatot could possibly mean “weeks of sabbaths.” Gesenius in his Hebrew lexicon suggests the same thing from the comparison of Leviticus 23:15 and Deuteronomy 16:9. The evidence supporting the meaning of “weeks of sabbaths” behind the Hebrew word shabbat is tenuous at best and should not, therefore, in all honesty, be used to build an argument on how to determine the time count leading to Shavuot. Now let’s look at the Torah text itself, since the rabbinic scholars offer us little if any help in determining how to count the omer toward Shavuot or the Feast of Weeks. If one were to view the day after the first day of the Feast of Unleavened Bread—assuming it doesn’t fall on a weekly Sabbath—as the first day of the count of the omer as the rabbinic Jews do, then how do you count seven sabbaths subsequently? For example, if the third day of the week (i.e. Wednesday) happens to be the first day of the Feast of Unleavened Bread and hence a sabbath (a high holy day Sabbath, but not a weekly Sabbath), then are all the remaining Wednesdays leading up to the Feast of Weeks also sabbaths, so that the command in Leviticus 23:15 to count seven sabbaths is fulfilled? The command to count seven Sabbaths only makes sense if one is counting seven actual weekly Sabbaths with the first weekly Sabbath being the seventh day of the counting of the omer and each subsequent Sabbath as the fourteenth day, the twenty-first day and so on until one arrives at the seventh Sabbath on the forty-ninth day of the counting of the omer. In this passage, we are instructed to count weeks, not sabbaths. Therefore, can we simply ignore the Leviticus 23 passage that clearly instructs us to begin our count toward Shavuot on the day after the weekly sabbath in favor of beginning the count on any day of the week, and to count seven weeks (i.e. Sunday to Saturday) instead of seven weeks of sabbaths as the rabbinic do? Not at all, for the instructions on counting to Shavuot is first mentioned in Leviticus 23:15–16 and therefore (in light of the biblical interpretive “law of first mentions”) forms the foundation or basis for all subsequent biblical discussion on the subject. Therefore, Deuteronomy 16:9 must be understood or interpreted in the light of the Leviticus 23 passage and not the other way around, even as the New Testament must be interpreted in the light of the Tanakh (Old Testament), since it came first and forms the basis for all subsequent divine revelation. Therefore, Deuteronomy 16:9 must be understood to mean “weeks of sabbaths” beginning from the first day of the week till the seventh day. Only in this way can Leviticus 23:16 be understood when it speaks of seven complete sabbaths being fulfilled upon arriving at Shavuot. This understanding reconciles these two passages in light of the biblical meaning and usage of the words shabbat (sabbath) and shavuot (weeks). 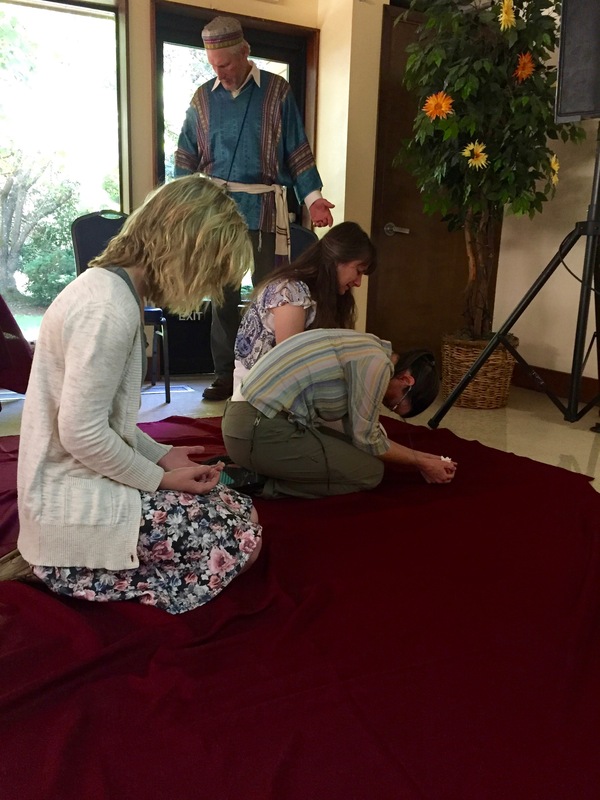 The closest analogous concept to weeks of sabbaths that we find in the Scriptures is the year-long land sabbath along with the seven sabbatical years leading up to the jubilee year. But in the biblical concept of seven land sabbaths, the pivotal point is still a definite sabbatical year when YHVH commanded the Israelites to let their land rest. The seven years is still tied to the year-long sabbath rest of the land, and the fiftieth jubilee year is calculated therefrom. The same is true from the day after the Sabbath, which is the first day of the week, when one starts counting toward Shavuot. After all, the Bible calls this holiday, the Feasts of Weeks. In Genesis chapter one, the Bible defines a week as being from the first day to the seventh day, which is the Sabbath (see also Exod 20:8–9). Unless otherwise stated, a week in the Bible means a week of seven days starting with the first day (Sunday) and ending on the seventh day or the Sabbath. And you shall count for yourselves from the day after the Sabbath, from the day that you brought the sheaf of the wave offering: seven Sabbaths [Heb. shabbatot] shall be completed. Here, the Torah clearly states that the day before the Feast of Weeks is the weekly Sabbath. This is the plain meaning of the text and is what the Hebrew word shabbat means. By biblical definition based on how this word is used, the word shabbat can only refer to three things: the weekly shabbat, the Day of Atonement or the land sabbath. In the context of Leviticus 23:16, shabbat can only refer to the weekly Sabbath. Only rarely (about once in seven years) when using the rabbinical method to count the omer to Shavuot does the seventh Sabbath fall on the weekly sabbath. When one begins the counting of the omer from the day after the weekly Sabbath during the Feast of Unleavened Bread, Shavuot always follows the weekly Sabbath. With the rabbinic counting method, their Shavuot usually falls on the morrow or day after the seventh Sunday, Monday, Tuesday and so on, and only once in seven years on the morrow or day after the Sabbath. Therefore, their method of counting doesn’t meet the criteria as outlined in Leviticus 23:16, and which states that the day before Shavuout must be a weekly Sabbath. 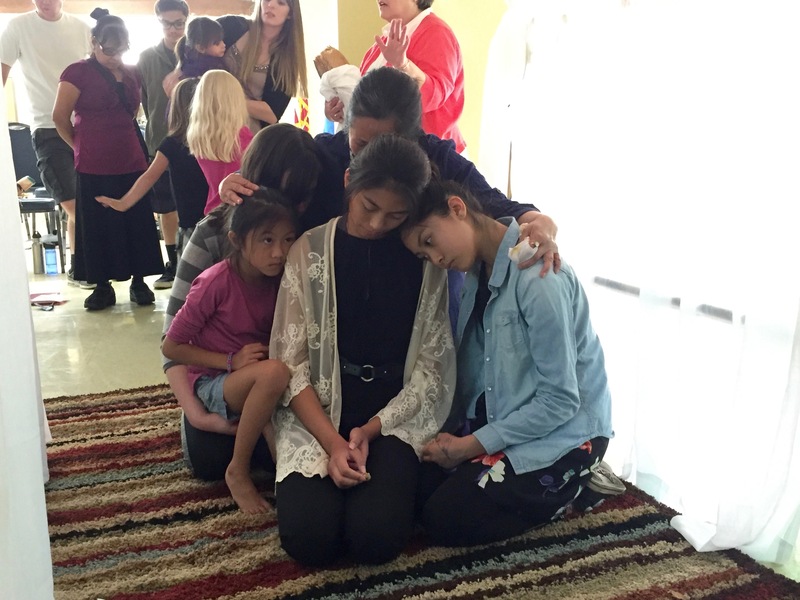 Perhaps this explanation gives us a fuller understanding into the phrase found in the Torah, “seven Sabbaths [Shabbatot] shall be completed” (Lev 23:15), or to a similar phrase found in the Book of Acts, “When the day of Pentecost was fully come, they were all with one accord in one place” (Acts 2:1). 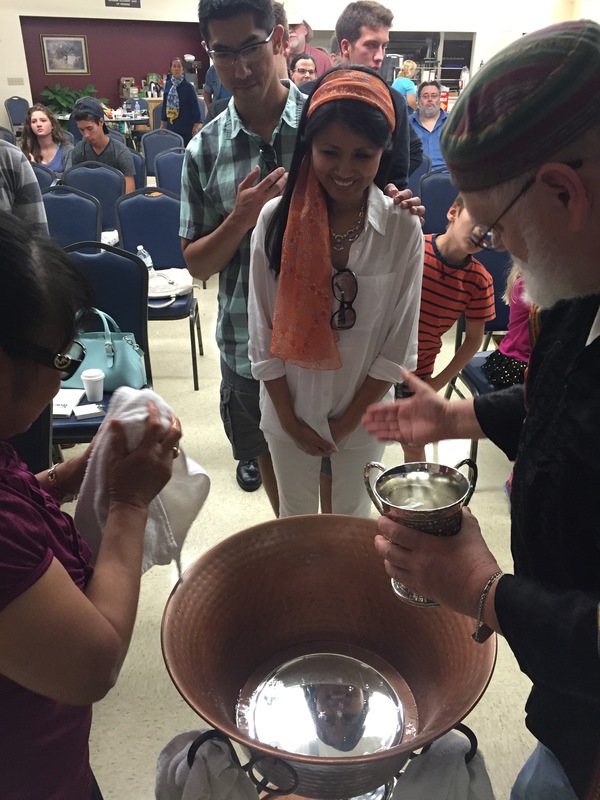 What is a complete [weeks of ] Sabbaths? It seems to indicate a complete or whole week from the first day (Sunday) to the seventh day (Saturday/Sabbath) with not a day lacking. Seven of these must be fully completed to arrive at Pentecost. It is interesting to note that Acts states, “When the day of Pentecost was fully come, they were all with one accord in one place” (Acts 2:1). 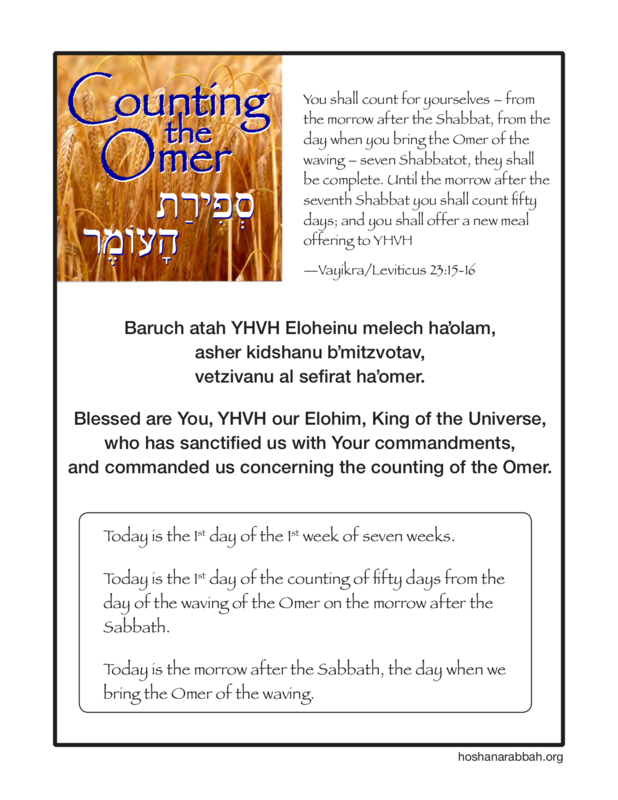 Moreover, it seems that the counting of the omer, which is seven seven-day weeks for a total of 49 days (7 times 7) symbolically points to “a complete completeness” representing the spiritual growth and development of the saint as they mature into perfect unity with YHVH and with their fellow saint, so that they will be spiritually prepared to receive the inner Torah of the heart, the gifts of the Spirit, and come to a place of being together and in one accord within the body of Yeshua to be able then to do the great commission and to reap the wheat harvest of lost sheep of Israel necessary to establish YHVH’s kingdom as per Acts 1:6–8 as pictured by the Feast of Pentecost. What’s more, the weekly seventh day Sabbath is a prophetic spiritual picture of the one-thousand year-long millennial reign of King Yeshua’s on this earth, while a first day (Sunday) Shavuot is a picture of seven days plus one (or the eighth day) that prophetically points to “the spiritual upper room” of the New Jerusalem as outlined in Revelation chapters 21 and 22, when the glorified saints will dwell together and in one accord and in one place with YHVH Yeshua forever. It is my contention that to count the 49 days of the omer leading to the Feast of Weeks in the rabbinic Jewish way takes away from the glorious spiritual, prophetic picture of Yeshua and his spiritual bride to be. 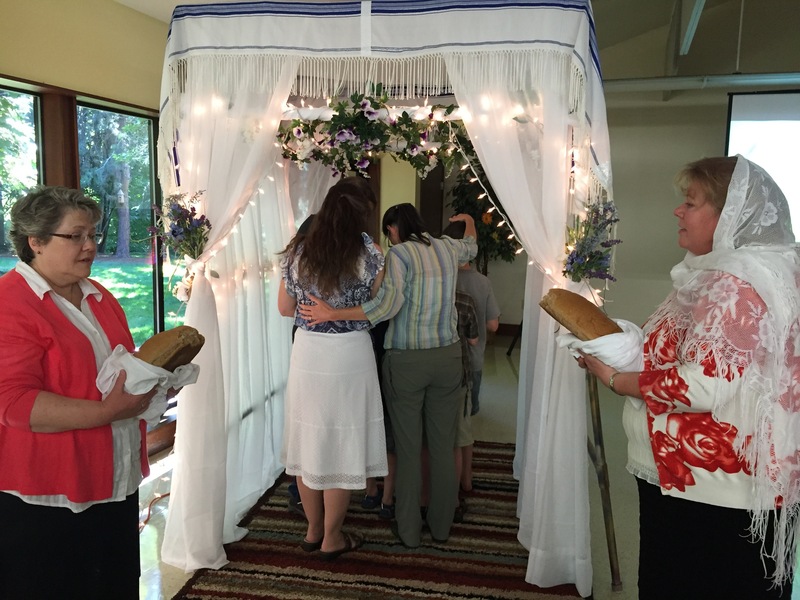 Happy Shavuot 2017—Sunday, June 4! Enjoy this fresh manna from heaven! From the time that YHVH revealed himself to the children of Israel while they were enslaved in Egypt, he has been calling his people to be spiritual mountain climbers. He first called the Israelites out of Egypt and up to Mount Sinai, and then up to Mount Zion in Jerusalem. He then called his people to come even higher yet to the upper room on the day of Pentecost, and he is now calling his people to come up even higher to the New Jerusalem that is above us and is the mother of us all. This highest mountain of YHVH is the ultimate source of our spiritual sustenance, the source of the river of life along which the trees of life are situated. From this spiritual wellspring comes all divine revelation and ultimately immortal life as children of the Most High. The beginning of the upward spiritual journey of YHVH’s people is memorialized in the counting of the omer, which starts on First Fruits Day occurring during the Feast of Unleavened Bread and culminates fifty days later with the Feast of Weeks or Pentecost (Heb. Shavuot; Lev 23:4–16). Each new step in this journey is a stepping stone or a launch pad to the next. For the Israelites, the journey started at sea level in the flat-land river delta of Egypt (a metaphor for this world, Satan and death) and then continues climbing higher and higher until it reaches heaven itself—the abode of Elohim. The problem is that most people only climb so far in their spiritual journey and then stop, or they grow weary along the way or become comfortably complacent at the level they have thus far attained and never move past that spot. This is dangerous! To not move forward spiritually is to stagnate and to die. YHVH wants a people that are on the move, who will obediently follow him wherever he leads, and not stop and park along the way only to construct their religious monuments with their fossilized customs, rituals and traditions. Heaven is a long way above the earthly plane, and YHVH wants children who will seek him no matter what, who have a heart to follow him no matter where, and no matter the cost. Although eternal life is a free gift from heaven, it won’t be given easily. It costs nothing, but, at the same time, it costs everything! Man must be willing to sacrifice his all—to lose his earthly life—to gain eternal life. YHVH refuses to give out his priceless gift of eternal life willy-nilly to anyone and everyone! YHVH requires that his saints be determined, tough and gritty mountain climbers who refuse to give up until that summit is reached. He has no pleasure in those who turn back, or refuse to go on. Only those who doggedly overcome the world, the flesh and the devil remaining lovingly loyal and obedient to him will receive the highest reward he has to offer. 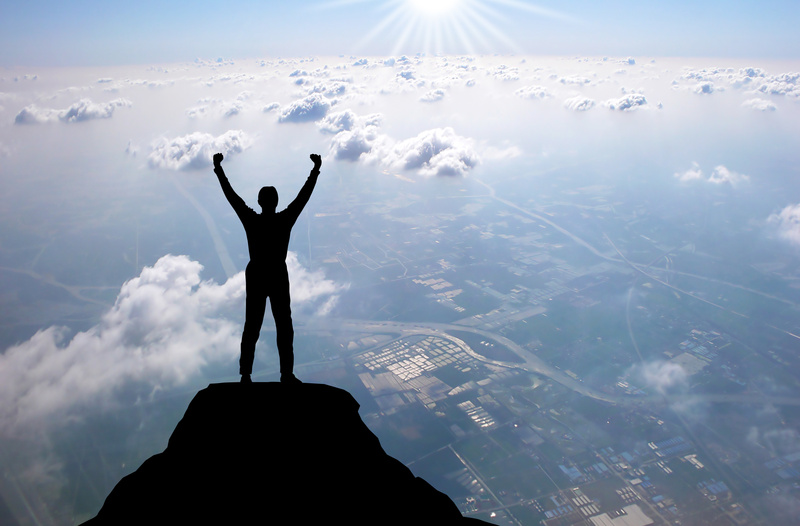 Let’s now explore what it is to climb the mountains that YHVH has placed before us to ascertain where we are at on the journey and how far we have to go to reach the ultimate summit. 1 Do we begin again to commend ourselves? Or do we need, as some others, epistles of commendation to you or letters of commendation from you? 2 You are our epistle written in our hearts, known and read by all men; 3 clearly you are an epistle of the Messiah, ministered by us, written not with ink but by the Spirit of the living Elohim, not on tablets of stone but on tablets of flesh, that is, of the heart. 4 And we have such trust through the Messiah toward Elohim. 5 Not that we are sufficient of ourselves to think of anything as being from ourselves, but our sufficiency is from Elohim, 6 who also made us sufficient as ministers of the new covenant, not of the letter but of the Spirit; for the letter kills, but the Spirit gives life. 7 But if the ministry of death, written and engraved on stones, was glorious, so that the children of Israel could not look steadily at the face of Moses because of the glory of his countenance, which glory was passing away [brought to an end, ESV; Gr. katargeo], 8 how will the ministry of the Spirit not be more glorious? 9 For if the ministry of condemnation had glory, the ministry of righteousness exceeds much more in glory. 10 For even what was made glorious had no glory in this respect, because of the glory that excels. 11 For if what is passing away [Gr. katargeo] was glorious, what remains is much more glorious. 12 Therefore, since we have such hope, we use great boldness of speech­ — 13 unlike Moses, who put a veil over his face so that the children of Israel could not look steadily at the end of what was passing away [Gr. katargeo]. 14 But their minds were blinded. For until this day the same veil remains unlifted in the reading of the Old Testament, because the veil is taken away in the Messiah. 15 But even to this day, when Moses is read, a veil lies on their heart. 16 Nevertheless when one turns to the Lord, the veil is taken away. 17 Now the Lord is the Spirit; and where the Spirit of the Lord is, there is liberty. 18 But we all, with unveiled face, beholding as in a mirror the glory of the Lord, are being transformed into the same image from glory to glory, just as by the Spirit of the Lord. Let’s now explain this passage to understand better the transition between the “old” and “new” covenants and the differences between the two. 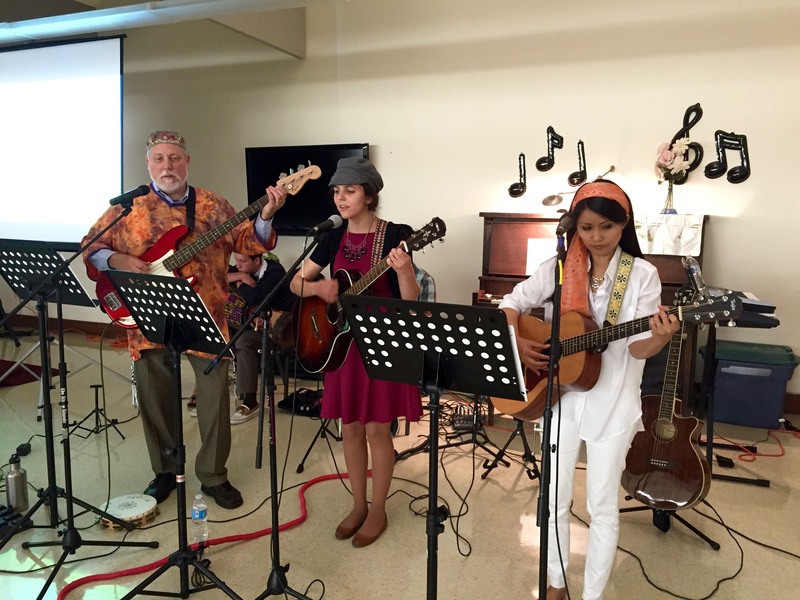 On June 12, 2016, Congregation Elim from Tigard, Oregon and friends of Hoshana Rabbah Biblical Discipleship Resources gathered together to celebrate the Feast of Pentecost (also known as the Feast of Weeks or Shavuot). 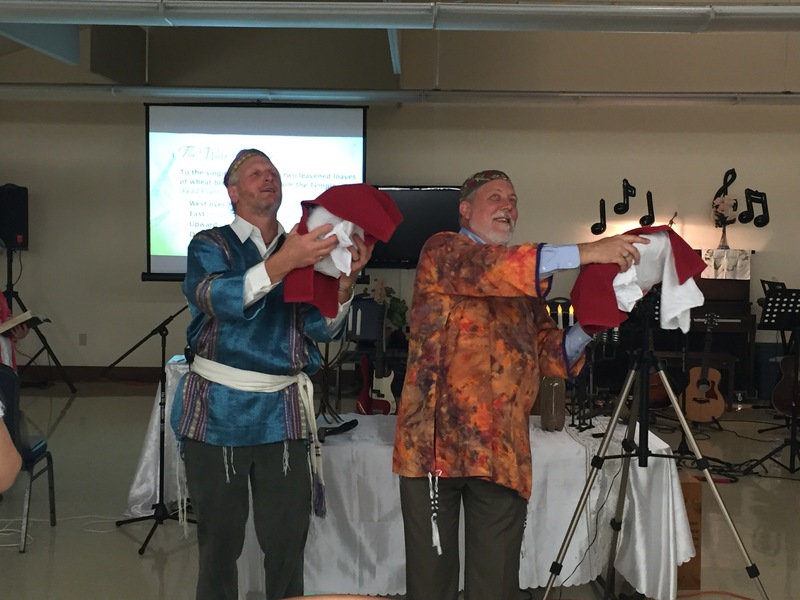 Please enjoy these photos we took of this wonderful experience connecting to our biblical, Hebraic roots at YHVH’s appointed time and commanded assembly. 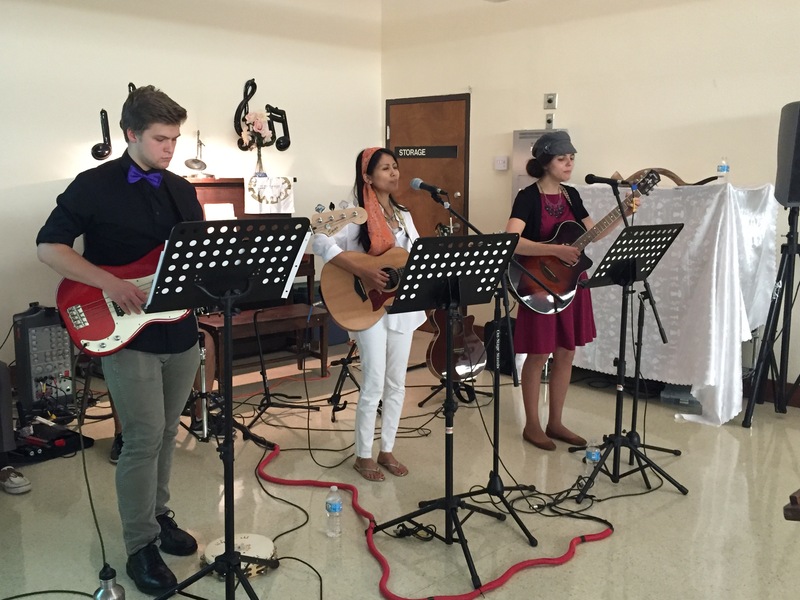 Sandi at the controls as we gear up for the liturgical portion of our service. 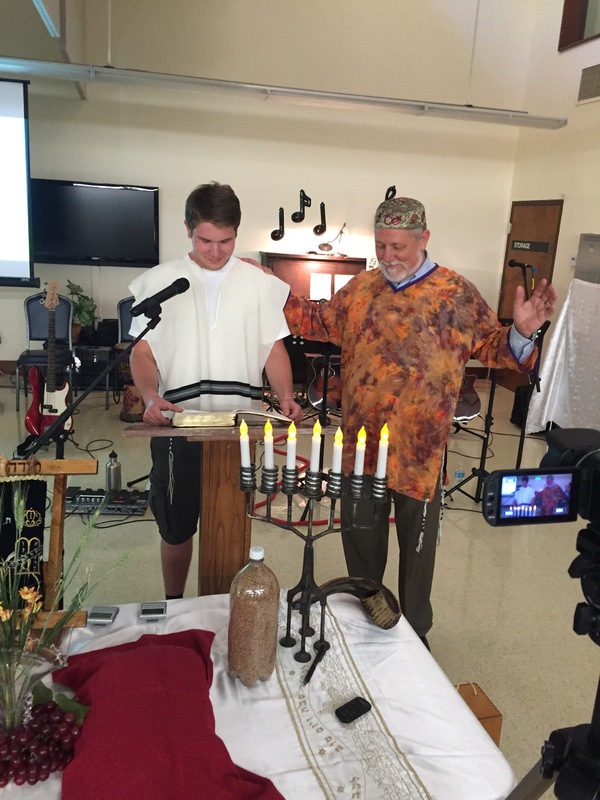 Dr. Joe and Aaron reading the ten commandments.